After skimming through multiple blogs on WordPress, I happened to stumble upon a tag for gaming enthusiasts, and the topics seemed interesting enough. I’m always looking for good subjects with which I could write a midweek post in between reviews, so I thought this could be an interesting change of pace. Now that the introduction is out of the way, let’s get started. There are a few choices I could go with, but to avoid repeating myself later, I’ll choose Mother 3. I feel the circumstances surrounding its release made (and in some circles, still makes) it incredibly difficult to criticize. Here we have a game that took around twelve years to see its completion, was conceived by an acclaimed writer with a strong following, and wasn’t originally released in the United States. Moreover, the Western fans did so much to try to get the game localized. They sent a book filled with tributes to Earthbound to Nintendo only to switch gears and begin their own unofficial localization when it became clear they weren’t going to bring it to the West. This wasn’t done by amateurs either; the project was helmed by Clyde “Tomato” Mandelin, who is a professional translator and runs an excellent website called Legends of Localization, which is worth looking into for anyone interested in the subject of Japanese-to-English translations. This team poured thousands of hours into the patch. From all of this effort and goodwill, the game earned something of a sacred cow status. Considering all of this, I can understand why fans would find a less-than-perfect critique of Mother 3 a difficult pill to swallow; it would mean all of this effort was wasted. I don’t think it was a pointless effort at all, and I commend Mr. Mandelin and his team for their effort. 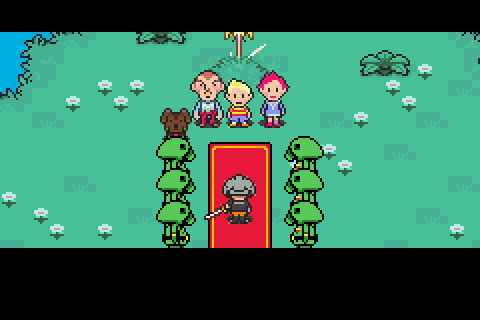 Having gotten that out of the way, Mother 3 is by far my least favorite of the trilogy. Among other things, it’s clumsily written, mean spirited, and utterly lacks any kind of satisfying payoff despite putting its protagonist through hell. Even worse, it takes a villain from the previous game who had a surprising amount of nuance (or at least in the Japanese version) and turned him into a flat strawman representing everything the author dislikes about modern society. I guess from that, one could say Mother 3 was ahead of its time like its two predecessors, predicting the direction in which sci-fi and satire would head the folllowing decade, but I would argue it’s not a worthwhile accomplishment. As someone who is always looking for a narrative that takes full advantage of the medium’s great potential, OneShot exceeded expectations, and it’s a shame it doesn’t have the same following as something like Undertale. While the AAA industry naïvely attempted to emulate Hollywood with their cinematic cutscenes, the creators of OneShot fully embraced the medium’s oddities instead of trying to push them away. 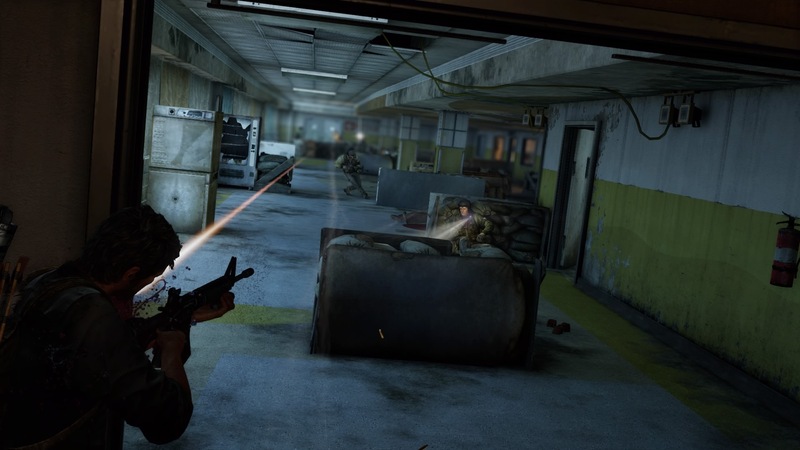 It has a narrative that could not exist in any other medium, and it thrives because it’s in a video game – not despite the fact that it’s in a video game. I apologize for the vague description, but it’s difficult to describe without spoiling it, so if you want to know what it’s about, try it for yourself. Though I strive to complete every game I review, I have to admit that the best answer for this question is Final Fantasy III. In my defense, I completed a majority of the game, but I wasn’t able to beat the unreasonably difficult endgame. For those unfamiliar with this game, it is a total nightmare. It involves beating as many as six bosses. Technically, four bosses are optional, but they need to be defeated in order to make the final boss anything other than a crapshoot. Said four bosses have around 90,000 HP when bosses leading up to them have around 30,000. In order to approach this endgame, you have two options: go with what you’ve got and hope for the best or grind several levels. The endgame is so infamous that most guides suggest grinding until your characters reach level sixty. Without going out of your way to grind levels, they are likely hovering around the mid-to-late forties. Better yet, you’d expect the DS remake to allow players to save during the endgame. Reasonable though such an assumption may have been, it’s entirely wrong. 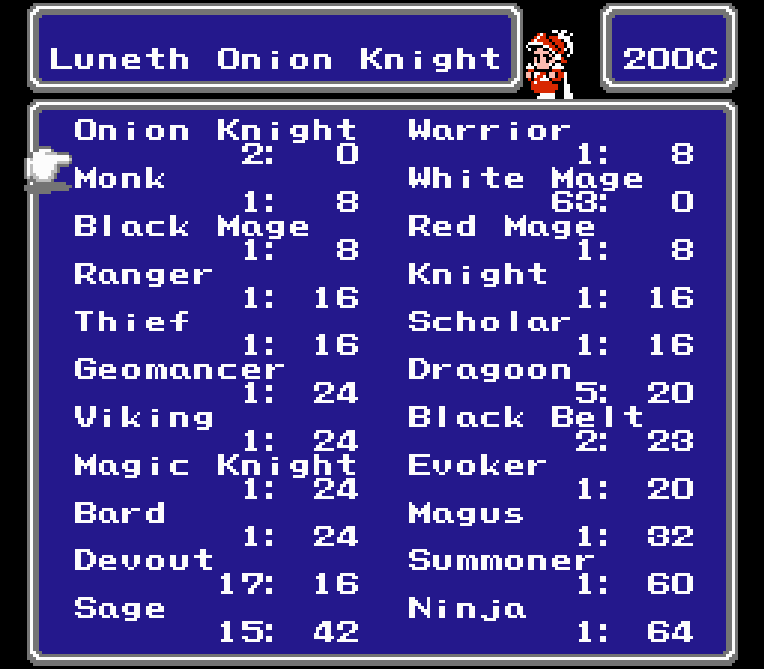 Possibly in an attempt to preserve the original experience, there are no save points in any of the dungeons. Did I mention the endgame takes about an hour per attempt and involves watching a long, drawn-out cutscene? All of these factors were enough to convince me that I had done all I could with the game. When I was about to review it, I did consider blazing through the Famicom original, which could sadly be said to be the superior version considering the remake nerfs the two best jobs, but I decided it wasn’t worth it and seeing the ending in various Let’s Plays demonstrated that it wouldn’t change my mind from the 4/10 I ultimately gave it. 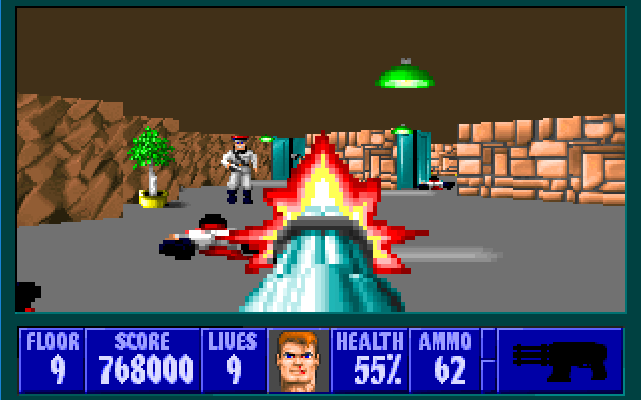 Wolfenstein 3D. As a first-person shooter, it’s obviously dated having been released back in 1992, but I still have fun playing through it on occasion. There isn’t much in the way of enemy variety, but I think it shines in how they’re placed. The creators make you study the layout of a level to get an advantage over the enemies. It requires much more thinking on your feet than the average Call of Duty installment wherein you’re basically riding a rollercoaster. 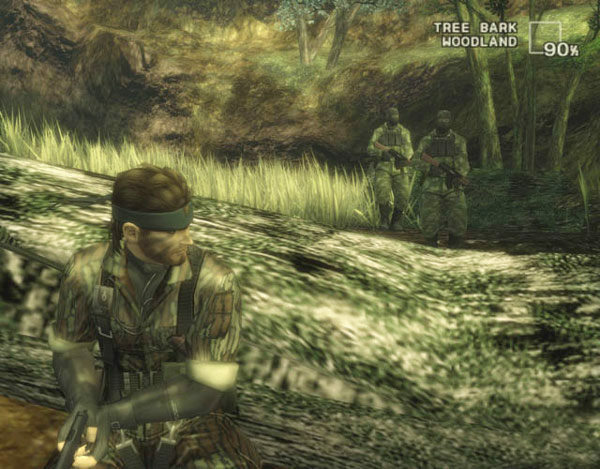 Though it’s one of my all-time favorites, I haven’t played through Metal Gear Solid 3 in nearly a decade. I’ve been mostly trying to play new games for the sake of this site, but I can see myself replaying that game somewhere down the line. Technically, I guess that would be any game with extensive multiplayer or a social aspect such as Dark Souls. Mostly, I’m concerned with a game’s single-player campaign; once I’ve finished it, I’m done. If it’s an RPG, I might do research and find out how to get an advantage, but that’s about it. Again, there are a few choices I could go with, but to avoid double dipping, I’ll answer System Shock 2. Though it would be a stretch to say that I outright hate the game, the ending is one of the worst the medium has to offer. I get the feeling it was meant to be a sequel hook, but considering that the original System Shock sold poorly when made to compete against Doom II and System Shock 2 sold poorly when made to compete against Half-Life, this was an incredibly poor decision on the part of Ken Levine and his team. Sequel hooks only realistically worked back in the eighties when the time between installments was relatively short and development teams were much smaller. Starting from the mid-nineties or so, they became an awful idea. Call of Duty demonstrated with Ghosts that sequel hooks can backfire horribly even when the franchise is a bestselling one. After all, what happens when a game with a sequel hook sells poorly or something else happens that causes the studio to shut down? Suddenly, what was intended to be a sequel hook ends up being a terrible ending that is a slap in the face for all your hard work. At best, it’s a plot thread that will never be resolved. 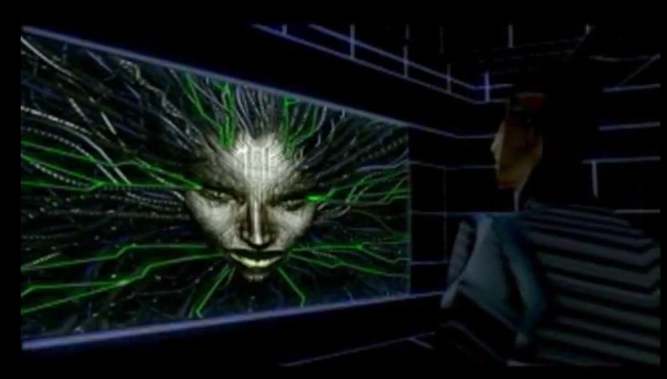 So while I think System Shock 2 is a decent game, it’s incredibly difficult to recommend – especially to anyone who cares about the story of the games they play. 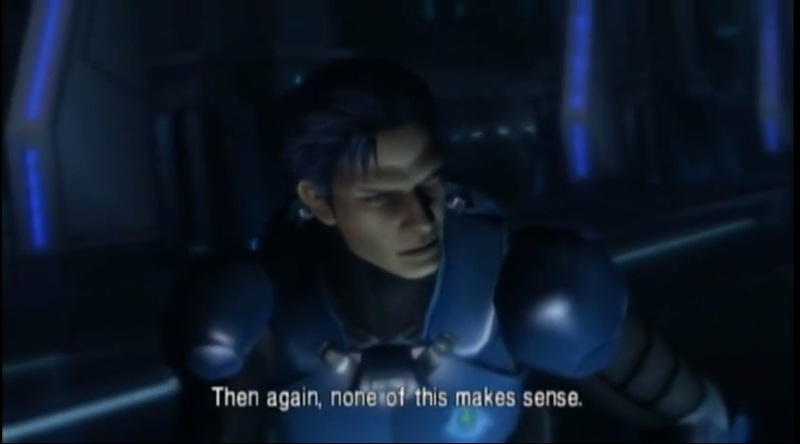 Though Metroid: Other M was doubtlessly a gigantic disappointment, the fact of the matter is that I didn’t get into it until long after the fact wherein I soldiered through it for the purpose of bashing it in a review. In other words, I knew the game was garbage going into it, so it did technically met my low expectations, thereby making it an unfitting answer to this question. Instead, for this question, I’ll go with the answer obvious to longtime readers: The Last of Us. It came out a few weeks before I was slated to start an international internship program. I judged I wouldn’t have enough time to complete it, but I made sure that I would do so when I returned. I took one look at the overwhelmingly high praise it received and figured that if the most vocal members of the gaming community who had a bad reputation for being incredibly jaded toward any mainstream release universally loved it, I was in for a treat. A minor warning light went off when I watched the Zero Punctuation review of Ride to Hell: Retribution that July. In it, it was implied that Yahtzee didn’t like The Last of Us. By then, I knew that independent critics (and not just Yahtzee) had a horrible propensity of exaggerating every single flaw a game had and that he was already known for his criticism of the Uncharted series (among other things). I dismissed it, thinking I would end up enjoying it. Never did I think that I would end up agreeing with him wholeheartedly when I finally played it that September. In fact, it was so bad, it made me think worse of Naughty Dog’s canon as a whole. Suddenly, things I thought Yahtzee was exaggerating for comedic effect were actually legitimate issues I was overlooking. He may let his biases get the better of him when tasked with analyzing Nintendo’s games, but when it came to Naughty Dog, he was right all along. While some praise The Last of Us for Naughty Dog having stepped up their game from the Uncharted series, I firmly believe the switch a more serious tone only succeeded in accenting their weaknesses as writers. I think it’s interesting that Yahtzee would preface his Ride to Hell: Retribution review by mentioning The Last of Us because (and to be perfectly clear) though I wouldn’t even dream of insinuating the two games are on the same level, they are alike in that what makes them so ugly is that they are distillations of the absolute worst excesses that era of AAA gaming partook in. It was a time in which having likable characters was considered a weakness and there was a real degree of nihilism to the tones of their stories. It was very similar to the Dark Age of Comic Books in that in the industry’s attempt to be mature, it came across as even less mature than when they were all about having fun. Fun may not be considered a mature concept by art critics, but it’s a concept anyone can get behind. This brand of false maturity, on the other hand, is contemporary. Going into Undertale, I was somewhat worried based off its premise that it would end up like Mother 3. Fortunately, it ultimately turned out that I wasn’t giving the game enough credit. Much like how I can hardly fathom a time in which the name of Metroid: Other M wasn’t a joke, I can barely believe there wasn’t a time in which I didn’t consider Undertale one of the greatest accomplishments of the decade. Like OneShot after it, it’s exactly what I look for in a story-heavy title – it has a strong, powerful narrative because it’s not at all ashamed about being a game. It also marked the end of the independent scene’s transformation from one that had a lot of promise, but a few minor issues holding it back (i.e. being sold more on the creator’s attitude than actual content) to a force that could easily match anything the AAA industry could issue. Don’t take my word for it though; much like OneShot, it’s difficult to describe without spoiling it. If you haven’t already, try it out – you won’t regret it. To be honest, I don’t tend to engage with promotional materials surrounding a game’s release. Therefore, I tend to take games as they come rather than actively looking forward to them. In extreme cases, I won’t even know a game came out until everyone in this sphere begins talking about it. In a strange way, I’m kind of looking forward to The Last of Us: Part II, though that’s more because I want to engage in the conversation more than it is me being actively excited to play it. As for games I’m legitimately looking forward to, I’d go with Metroid Prime 4. The Metroid series managed to bounce back from the reprehensible Other M with Samus Returns, and I hope this one keeps up the momentum, as a majority of this decade has not treated the venerable franchise well. Another one I’m looking forward to is the Switch edition of the excellent Fire Emblem series. The franchise managed to finally inject itself into the Western mainstream with Awakening and Fates, some of the best games on the 3DS, and I’ll be interested to see what Intelligent Systems does next. Well, that’s it for me; this was a fun tag to complete. If anyone else is interested, here are the questions. This is a fun idea! I realize it was a one-off tag for you but you should totally turn it into a series and just answer a series of your own questions (or just one question in depth). 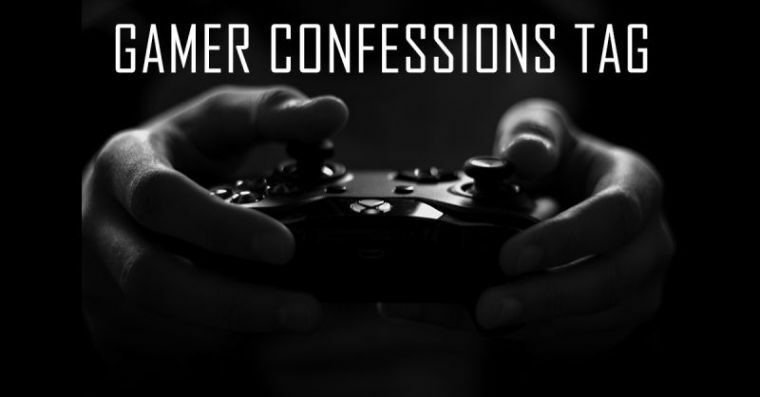 I love confession posts because I feel like I get to know the real people behind the blog, not just the games they review, but who they really are. I loved it and I’m fully on board with this! Ask and you shall receive. Ever since I decided to fulfill one of those Mystery Blogger Award tags, I thought I could write a shorter post in the middle of the week. A lot of the time, I have indeed asked questions relating to various mediums. If you end up doing this tag, I look forward to seeing what your answers are! 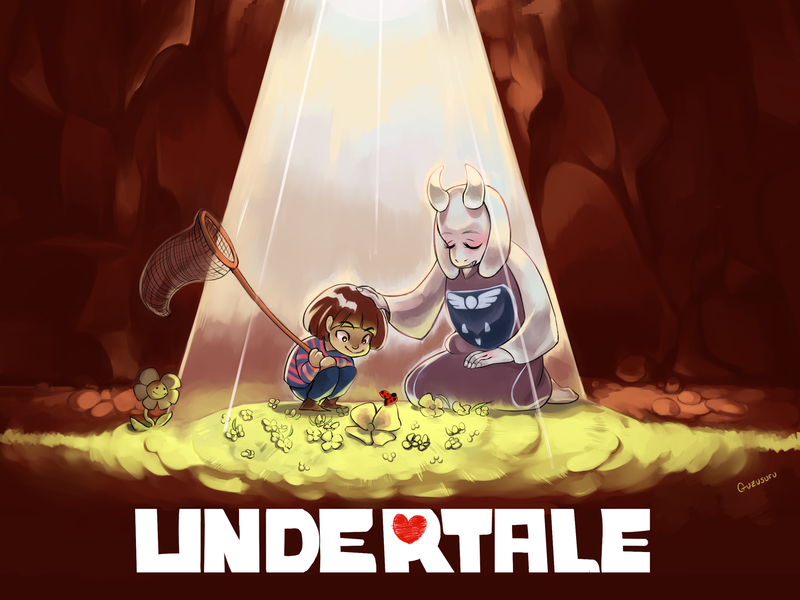 Pretty awesome post, and it reminds me of how much I am looking forward to Undertale. Thanks! I’m glad you enjoyed reading it. More importantly, I hope you like Undertale when you finally get around to it. Final Fantasy 3 does not want you to finish it. That’s the only explanation I can think of for the huge disconnect the endgame had with the rest of it. I assume the developer played that part of it, and they decided ‘yep, we want to end our game with a massive difficulty spike and a final boss with no connection to anything.’ That’s the only thing it could be. Considering how difficult games were back then, I wouldn’t be surprised if some didn’t bother with playtesting, shipped it to stores, and hoped somebody would be persistent enough to finish it. I just got One Shot off Steam, by the way, I’ll be delving on in this weekend. It does seem to be a more obscure indie title. Nice! Hope you enjoy it.